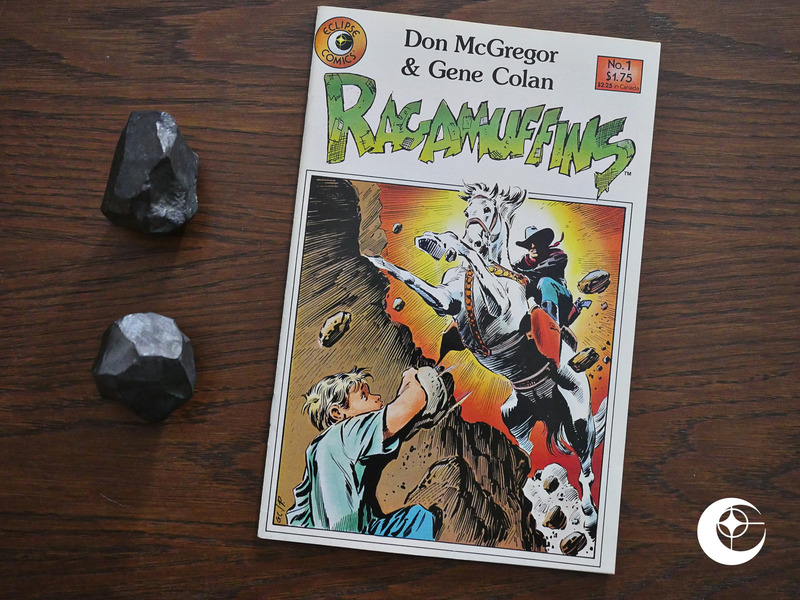 Ragamuffins (1985) #1 by Don McGregor, Gene Colan, et al. 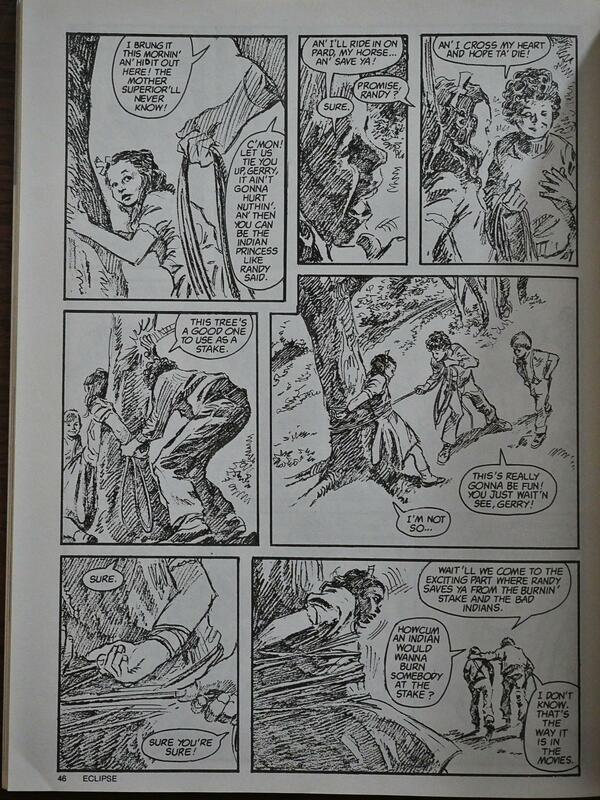 This comic reprints the first three Ragamuffins stories from the Eclipse magazine. 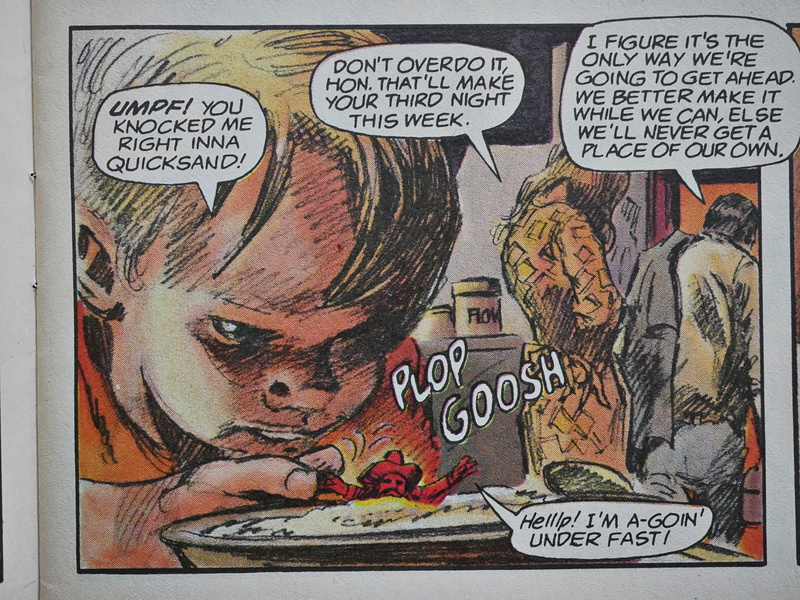 McGregor explains how hard it is to sell anything about genre comics in the US comics marketplace. Or at least it was back in the 70s and 80s. 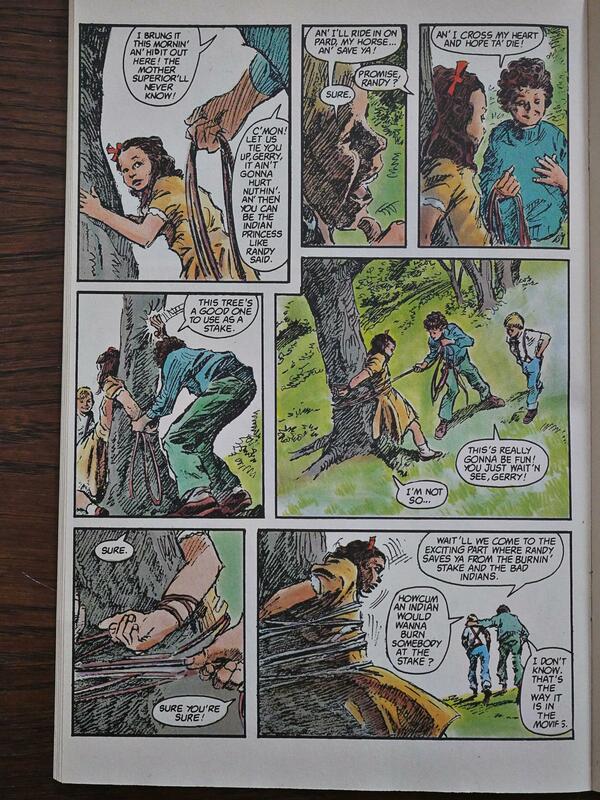 I think any editor would jump at the chance to publish a comic book about two kids walking down the sidewalk today, don’t you? I don’t really have much to say about Ragamuffins that I didn’t when I wrote about the Eclipse magazine, but it’s still sweet and melancholy. It doesn’t really have any major insights to offer, though, even if it takes itself very seriously. 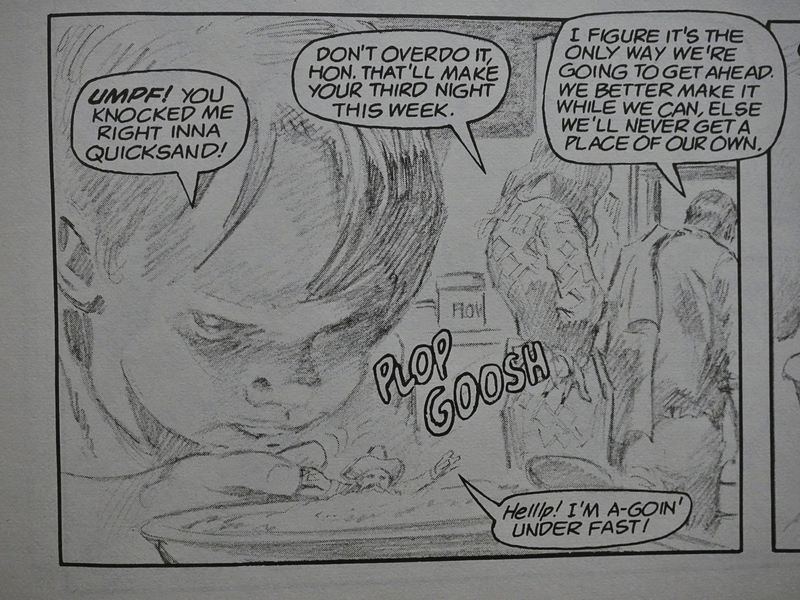 But the reproduction of Colan’s shot-straight-from-the-pencils artwork looks a lot better here than in their original appearance, and the colouring by Steve Oliff is sensitive and perfectly right for the work. Above you see the original printing, which was way way too washed out, to the point you couldn’t see what was going on here and there. So that’s an improvement. Which also looked awkward, as if they’d tried to up the contrast too much when shooting the pencils. 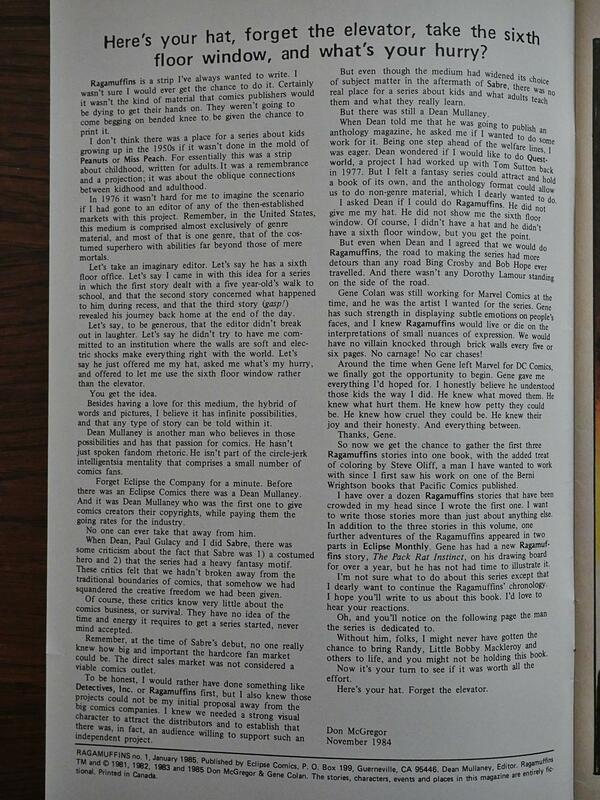 Anyway, there were a couple of further Ragamuffins stories published in Eclipse Monthly, but those were never reprinted. There has never been a complete collection of this work, and to the best of my knowledge, McGregor didn’t continue the series, as he said he wanted to do in the introduction.